Something special for a chocolate lover! It comes with 3 donuts, cocoa nibs and crunchy chocolate pearls. Bonus: You can choose the flavour inside and the colour of the cake's exterior! 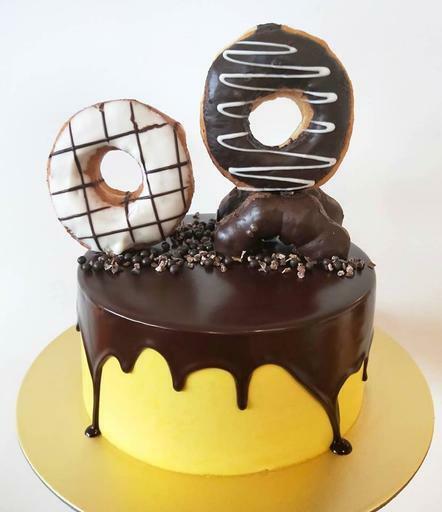 Please note: The donut designs are subject to availability; The chocolate drip looks different every time we do it.